Watching the senior Vatican officials representing the Holy See today (Thursday, Jan 16th) before the experts of the UN Committee on the Rights of the Child was a gripping experience. The Committee had well-prepared questions, they followed up on questions not answered, and many times were able to correct factual errors made by the delegation when conflicting with credible historical dossiers and reports. The delegation however also gave forthright answers in some cases, and expressed the type of regret that is needed. However, lots of lofty statements; very few firm commitments to action. I would also like to tip my hat to the NGO support given to this event, in particular from the Center for Constitutional Rights and the victim survivors group, SNAP. 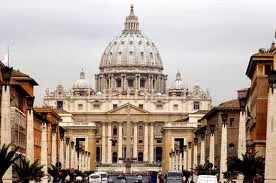 Both brought compelling victim testimony to the attention of the Committee, strong factual responses to each submission filed by the Holy See, and good coverage during and after the event. Twitter followers used the hashtag #HolySeeConfess. A good post-event wrap-up was live streamed by these two NGOs, including a Q&A session with questions emailed or streamed in from all over the world. You can also view a webcast recording of the Committee hearing at treatybodywebcast.org. It usually takes 3 or 4 days before the archived recordings are posted. By all reports the media coverage was strong, one of the best covered events in the history of the Committee's hearings. I noted prominent stories at both CNN and BBC. A quick Google news search revealed at least 482 stories worldwide in English. There was also evidence of prominent coverage in Spanish-language media, reported by the representatives of SNAP in the livestream event noted above. What happens next? First, we wait for the Committee's concluding observations and recommendations which will probably be issued around February 5th. Then we turn to the UN Committee Against Torture, which will also be reviewing the human rights record of the Holy See, in its session that begins in late April. Like the Committee on the Rights of the Child, this Committee's hearing will also be webcast live at treatybodywebcast.org.